BALTIMORE, July 26, 2018 /PRNewswire/ -- CPower Energy Management announces the appointment of Brad Widdup as Director and General Manager to lead its expansion into the Canadian demand-side energy management markets. He brings more than 25 years of experience working in and around the North American utility industry, with experience in customer and operational applications for both regulated and deregulated energy markets. "Brad is a seasoned sales leader with a passion for building and managing high performing sales teams," said Glenn Bogarde, CPower Sr. Vice President for Sales and Marketing. "He brings proven success at establishing and maintaining trusted adviser relationships with clients and growing business in new and existing markets. Brad is the perfect choice for spearheading our expansion into new North American markets, maximizing value in demand-side management programs for existing and new customers." The expansion into the market will start with plans to offer the IESO Demand Response Auction and Peak Demand Management programs in 2019. "CPower has an extensive customer base operating in the market and the expansion will provide additional value to our customers," added Mr. Bogarde. 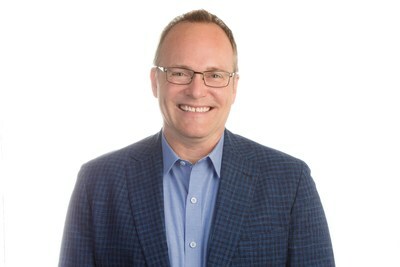 Mr. Widdup's energy career includes leadership and executive positions in Oracle's Utilities Global Business Unit, where he managed the company's Canadian, Northeast US, Central US, and Western US business. He also served with Intergraph Canada, securing and expanding utility clients throughout Canada and the United States. Mr. Widdup earned his Bachelor of Science degree with Honours in Math and Computer Science from McMaster University in Hamilton, Ontario.